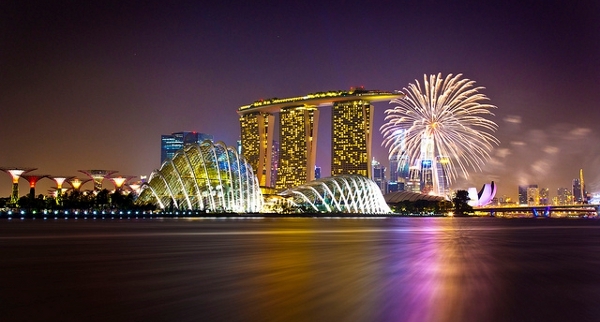 A bewitching blend of East and West and a melting pot of Malay, European and Chinese cultures, the island state of Singapore offers a contrast of skyscrapers and modern, affluent suburbs, with a medley of old world Asian influences. Visitors step into a world where the call to prayer competes with the call of capitalism. Add a tropical climate, one of the world’s most diverse cuisines, superb shopping and a vibrant nightlife scene and you will realize why the “Lion City” offers a great stopover, or an extended stay to enjoy city life, or the beach resort of Sentosa and the surrounding islands. 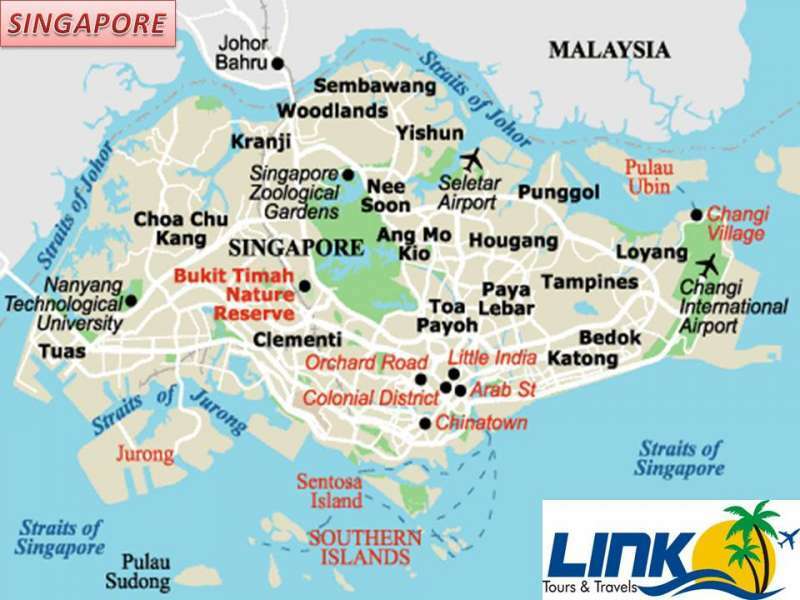 Singapore is made up of 63 islands, and is separated from Malaysia by the Straits of Johor to its north and from Indonesia’s Riau Island by the Singapore Strait to the south. 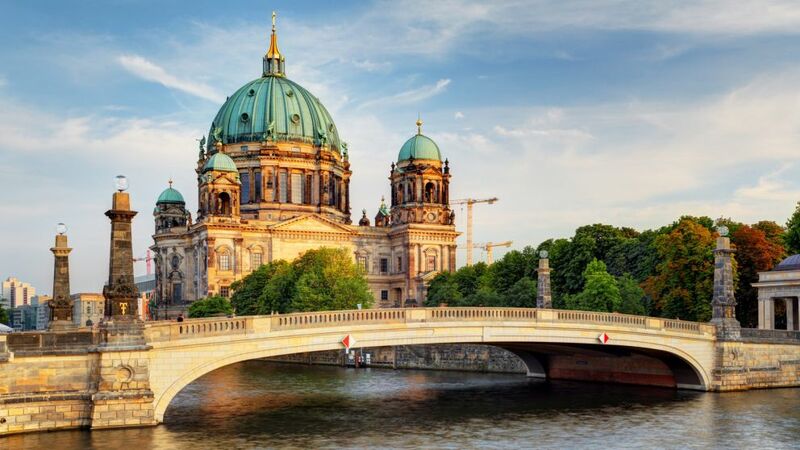 It is a land brimming with diversity, with a collage of cultures, languages, and architecture. The four major races: the Chinese, Malay, Indian and Eurasian live in harmony and create a model multi-racial society that is both diverse and cohesive. Contemporary Singapore has a wealth of attractions that make it unique in both the region and the rest of the world. It is an island that is small in size but very big in opportunities. Singapore runs like clockwork. 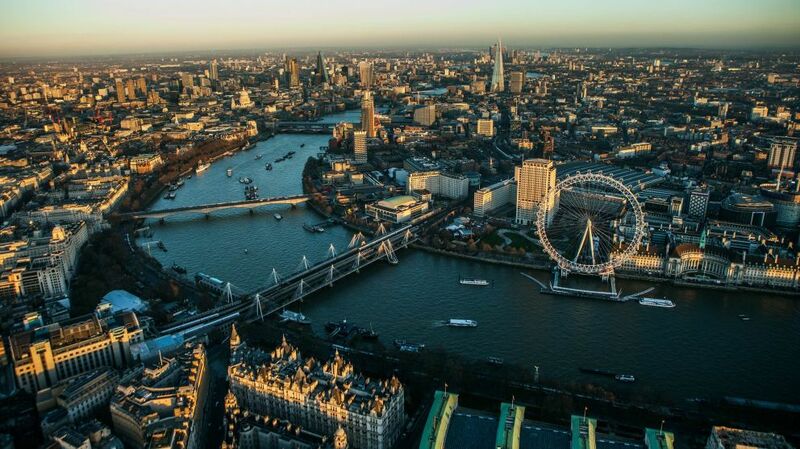 More than four decades of political stability has led a level of infrastructure second to none. The government is a well-oiled machine that has created superb road, rail and air networks. Singapore is made up of 63 islands, and is separated from Malaysia by the Straits of Johor to its north and from Indonesia’s Riau Island by the Singapore Strait to the south. It is a land brimming with diversity, with a collage of cultures, languages, and architecture. The four major races: the Chinese, Malay, Indian and Eurasian live in harmony and create a model multi-racial society that is both diverse and cohesive. 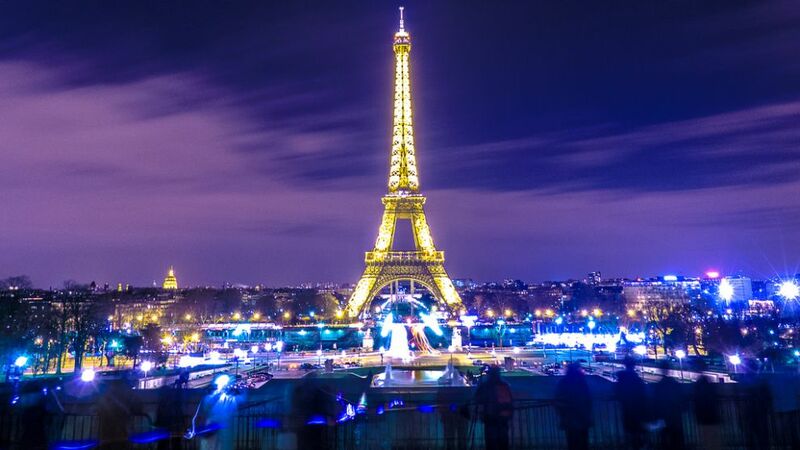 30°C (84°F) daytime; 24°C (76°F) night time in December and January. 32°C (90°F) daytime; 26°C (81°F) night time the rest of the year. The 11 major public holidays in Singapore reflect the cultural and religious diversity of the country. These include Chinese New Year; the Buddhist celebration Vesak Day; the Muslim holidays Hari Raya Puasa and Hari Raya Haji; the Hindu celebration Deepavali; and the Christian holidays Good Friday and Christmas Day. These holidays represent a carefully arranged distribution of public holidays among the religious and ethnic communities in the country throughout the calendar year. Religion is a fundamental component which binds together cosmopolitan Singapore and the leading religions, such as Buddhism, Islam, Christianity, and Hinduism, flourish in harmony with one another. Chinatown’s once characterful shophouses have been rendered improbably perfect by restoration, but the area is still home to many shrines and shops specializing in Chinese food, medicine and other products. Take stock of Singapore’s transformation from rustic island to hi-tech metropolis, a story enlivened by plenty of oral-history clips. The towers of the Financial District are amazing viewed from the Singapore River or Marina Bay. 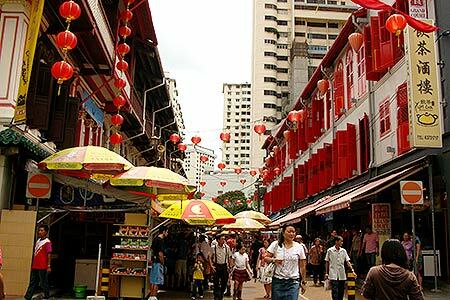 Little India is like a slice of the Calcutta of old; with Serangoon Road at the heart of the action. Bollywood music, the smell of exotic spices and frenzied trading characterise an area that is home to Singapore’s many immigrant Indian and Bangladeshi workers. 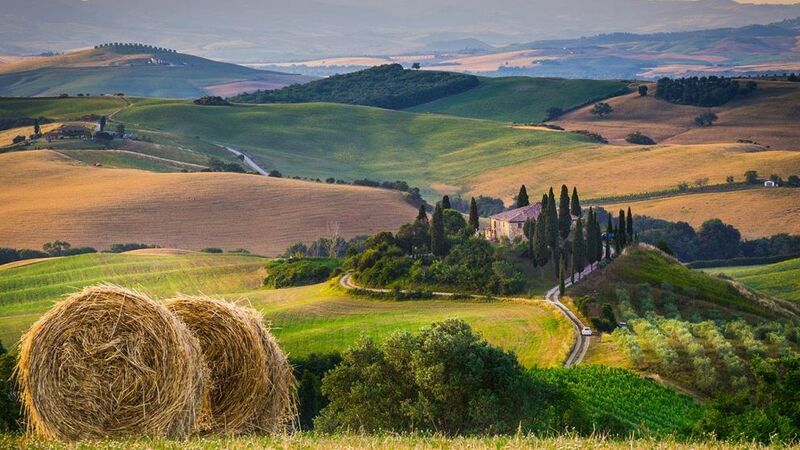 Named after the orchards and plantations that once dominated the locality, the area was eventually transformed into an affluent enclave where wealthy Europeans built their homes. Today Orchard Road still represents wealth even though colonial homesteads have been replaced with glitzy malls and high-rise hotels and it still has one of the highest concentrations of Western expatriate residences on the island. 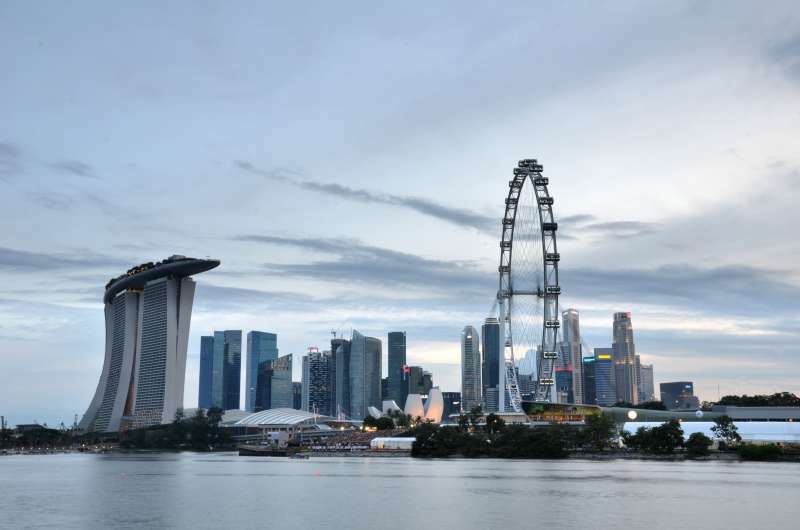 Marina Bay has its fair share of attractions and is an atmospheric part of the city that is home to the Singapore Arts Museum, National Library, Merlion Park, the Esplanade, Sands SkyPark, Marina Square Shopping Centre, the Singapore Flyer as well as Sim Lim Square. 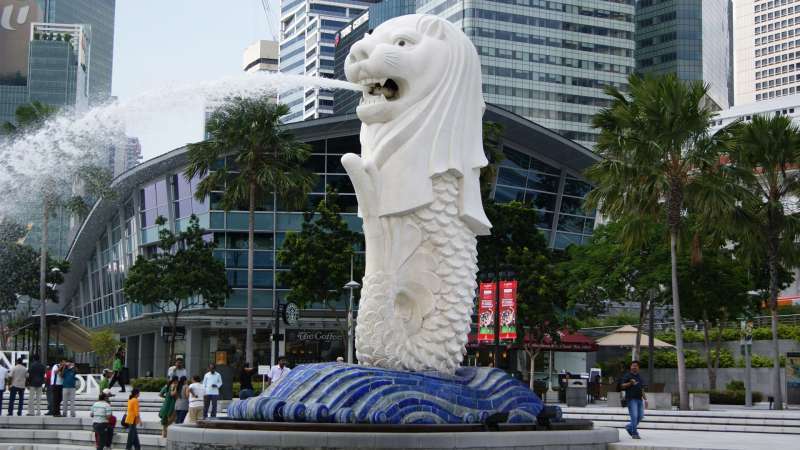 It is also home to the iconic Merlion and its accompanying park with terraced seating so people can take in panoramic views of Singapore’s soaring skyline. 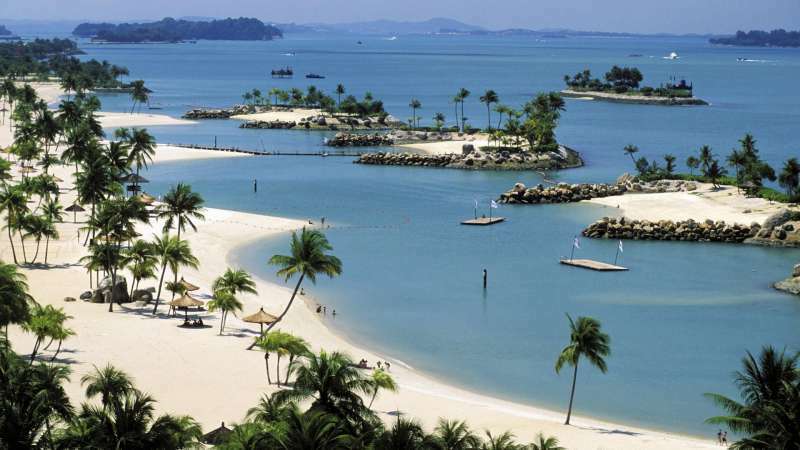 Sentosa, which translates to “peace and tranquility” in Malay, is a popular island resort 15-minutes away from the city centre that is visited by an estimated five million people a year. Attractions include a two-km long sheltered beach, Fort Siloso, two golf courses, five star hotels and the Resorts World Sentosa, featuring the theme park Universal Studios Singapore. The 12-minute cable car ride from Vivo City to the resort of beaches and rainforest is not only convenient, but has the added bonus of providing astounding panoramic views. The Botanic Gardens is the only botanic garden in the world that opens from 5 a.m. to 12 midnight every single day of the year, and does not charge an admission fee, except for the National Orchid Garden. The first “Botanical and Experimental Garden” in Singapore was established in 1822 on Government Hill by Sir Stamford Raffles who was a keen naturalist. The present gardens have an abundance of horticultural themes and attractions, prominent of which is the National Orchid Garden; a hilly three-hectare site which has a collection of more than 1,000 species and 2,000 hybrids of orchids. 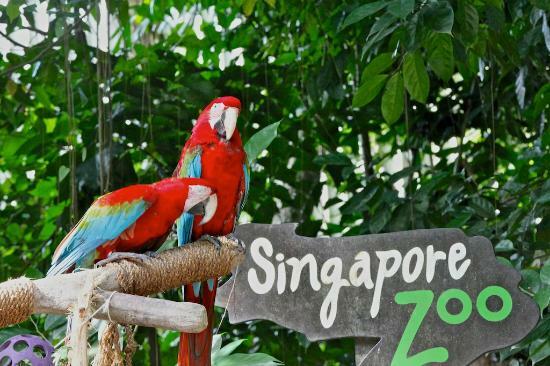 Situated in Northern Singapore, about 25 minutes away from the city stand two wildlife attractions of global standing. One of these is the superb Singapore Zoo; resident to Borneo and Sumatran Orang-u-tans, Komodo Dragons, (the world’s largest lizard from the Indonesia Island of Komodo), Malayan Tigers and other Asian and African wildlife. Among the stars of the zoo is the colony of Orang-u-tans who greet visitors every morning for breakfast at the Ah Meng Restaurant. Watch out for the new attraction of two Giant Pandas, which are scheduled to move to Singapore Zoo in 2012. 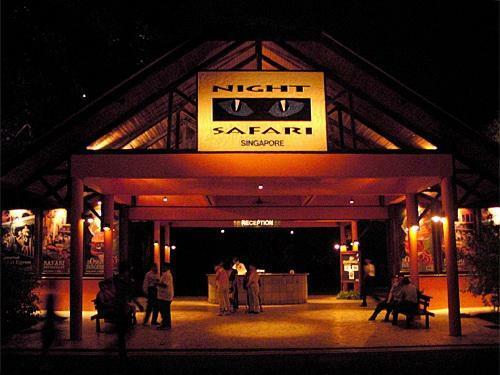 The other superb island attraction is the Night Safari. 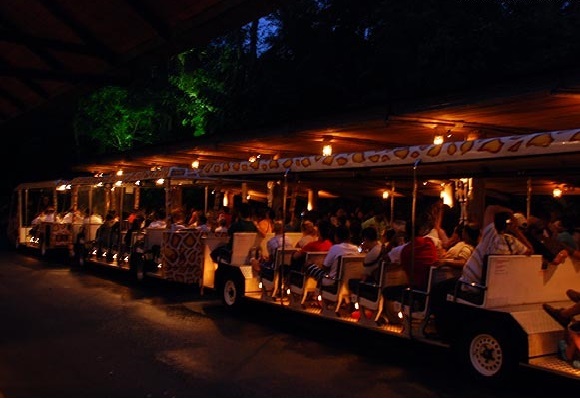 At 7pm each night after dusk, the Night Safari literally comes alive. It has been designed to give visitors an understanding of the nocturnal habits and habitats of Asian animals as they become more active after sleeping during the hot day time. Located between Marina Bay Sands and the south coast is a large, 40 hectare, development called Gardens by the Bay. This is an SD$800 million project that is being constructed for the people of Singapore and visitors and will include a variety of flora collected throughout the South Pacific and South East Asia. The attraction will feature two large air-conditioned conservatories that will house sensitive plants, as well as 20-30-metre tall “super tree” structures. The gardens will become the home of native birds and plants that will thrive in the warm tropical environment. One Visa Form(14) duly completed and signed. Two recent photographs as per specification given below. With full face without headgear (unless the applicant habitually wears a headgear in accordance with his/her religious or racial custom but the headgear must not hide the applicant features) with matt finishing. Covering letter for stating purpose of visit addressing to Visa officer. And proof of employment. If visit relatives then invitation letter from relatives and his/her passport, Visa and permit copy. :: Point to Note :: ** Optional excursions and customized package tours is available with us.